Seven families have reportedly been resettled. ASYLUM seeker families on Nauru are secretly being moved to Adelaide as the federal government bows to public pressure to remove children from immigration detention. Up to seven families have reportedly been resettled from the island's immigration detention centre in the past two weeks, according to refugee advocates. 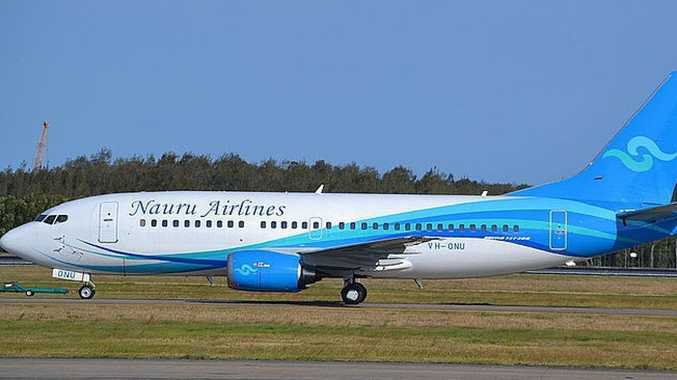 But the federal government has refused to confirm if a Nauru Airlines flight into Adelaide on Monday was carrying asylum seekers, even though the airline only flies into Adelaide on contract by the Home Affairs Department, The Advertiser reports. The government is under pressure from the opposition, crossbench MPs, a former home affairs department official and the Liberal MP Julia Banks to remove refugees and asylum seekers from Nauru. Defence Minister and senior SA MP Christopher Pyne said he was not aware of the specific details. 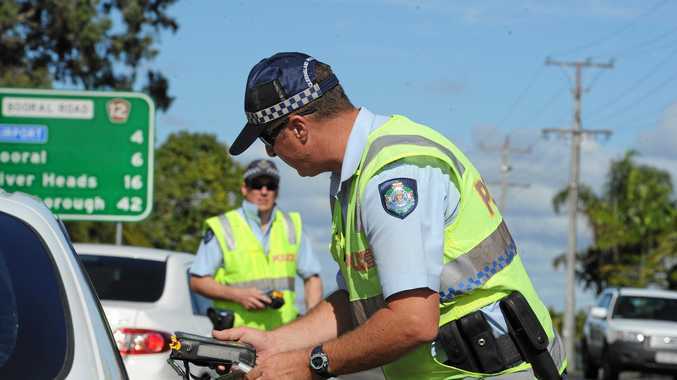 "I don't know if that's to Adelaide, I haven't made those inquiries, I've only seen that story myself this morning, but if that's the case I think most people would welcome that outcome," he told 5AA radio on Wednesday. However, he added that it was important people smugglers did not think they had a green light to resume their "hideous trade". "We are, of course, making sure that particularly children who are suffering from health issues are being removed from Nauru back to Australia to be looked after from a health perspective." Refugee advocates say there are now 40 asylum seeker children on Nauru, with 79 evacuated since the Kids off Nauru campaign was launched in August. Greens Senator for South Australia, Sarah Hanson-Young said her state has a "wonderful history of welcoming refugees". "The children & their families who have been brought from Nauru to Adelaide for medical treatment are welcome and must be allowed to stay," she wrote on Twitter this morning. "The Govt must rule out sending them back to the hell of detention." The Federal Government has refused to confirm the reports. A YouGov Galaxy poll, published on Sunday, which found 80 per cent of Aussies want children and their families transferred off Nauru by taking New Zealand up on its offer to resettle 150 refugees. However, former prime minister Tony Abbott slapped down the results saying Nauru is a "very pleasant island" where refugees and asylum seekers get better healthcare than in some towns in regional Australia. Nauru is a “very pleasant island” according to Tony Abbott. 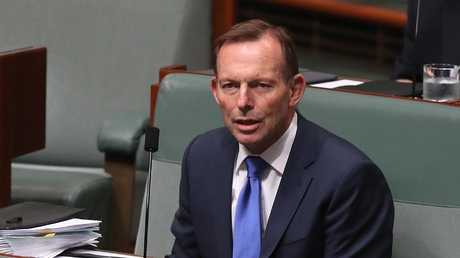 Mr Abbott told 2GB on Monday: "The people on Nauru and Manus [Island] now are almost all would-be economic migrants and if we give them what they want we will get more of them. "Of course kids off Nauru is a good slogan but it's a dreadful guide to policy because if we aren't allowed to have kids on Nauru, just bring some kids with you and you automatically get to Australia." 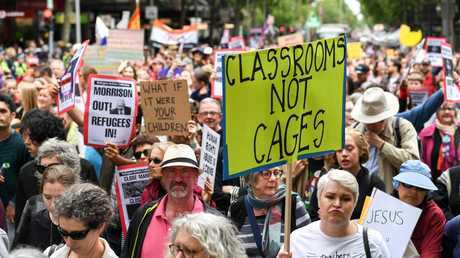 On Tuesday, Labor offered conditional bipartisan support to pass a bill to prevent refugees settled in New Zealand ever migrating to Australia, but the prime minister, Scott Morrison, repudiated the offer, declaring "you don't horse-trade on border protection".